It's a strange thing about being an adult. You can quickly forget how the investments of people into your childhood and youth shaped you forever into the person you are today. For me, Youth Encountering Christ (YEC) has been a wonderful reminder of how crucial this stage of life is and how God is inviting us to participate in ushering in a new generation of believers into his family. 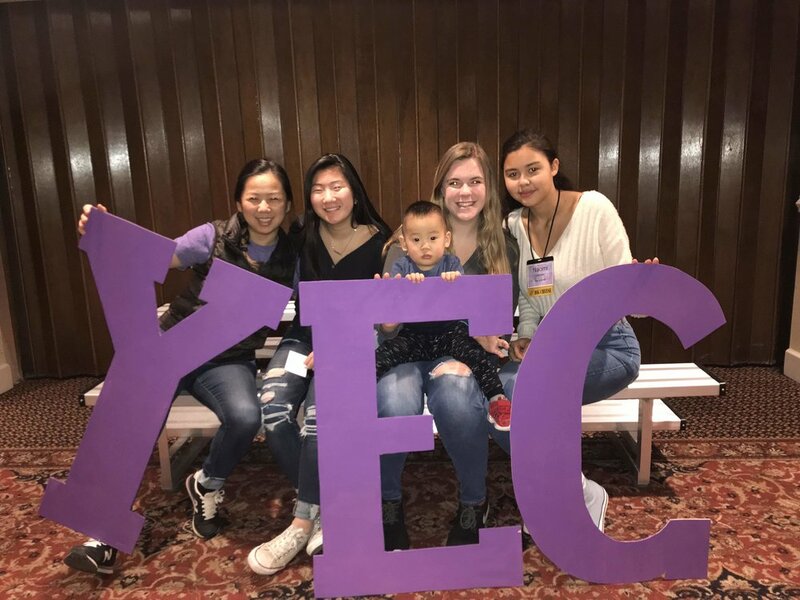 YEC is an annual retreat held by the Baptist Convention of New England (BCNE) which is part of a multi-pronged strategy to provide discipleship resources to youth across New England. It's been my privilege for the past 3 years to lead worship with a team of musicians comprised of former students of the conference with more than 700 youth each year from all over New England, along with our own Shane Pratt and David Kim in recent years (not to forget DJ Dantas, Pastor Bland's son-in-law!). It's an incredible gathering that displays the diversity of the body of Christ; a large number of the churches involved come from ethnic specific ministries, including youth from Black, Latino, Brazilian, Ethiopian, Arabic, and Filipino churches all over New England. The weekend included worship, organized fun, but most importantly preaching from the word of God and calls to trust in Christ. Nearly a dozen youth trusted in Jesus for the first time this past weekend! I don't know why it surprises me when people come to faith, and yet I'm always amazed when people do. There was no dramatic call with music, no lights dimmed, just a simple call to trust in Jesus, and the Spirit moved! It's easy to think about just our own lives, or even our own church as being the center of things, but the Lord gave me a few days to remember that the body of Christ reaches much further than our corner of things, and I am supremely grateful for that. If you'd like to work with youth from CoaH or participate in monthly youth gatherings with fellow churches, contact Luke Westbrook at jlukewestbrook@gmail.com.